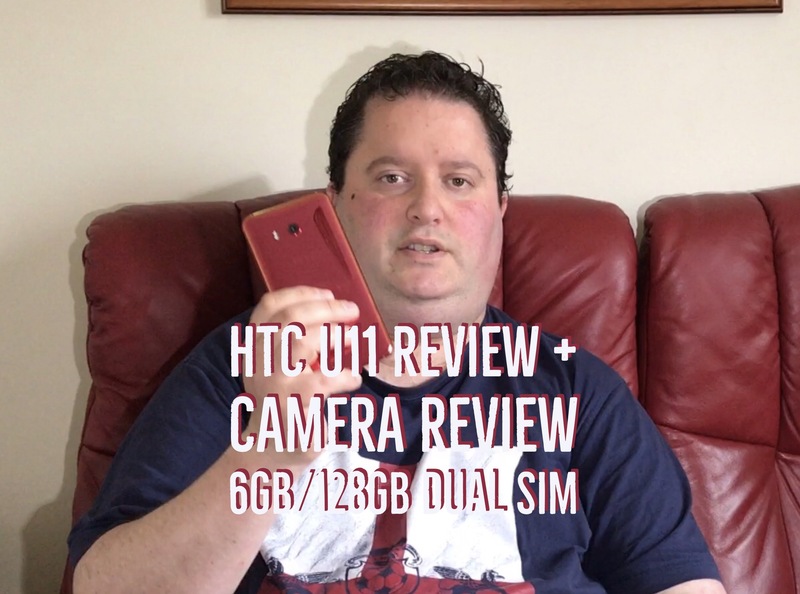 Welcome to my review of the HTC U11 including a camera showcase. This is the top model of the HTC U11 in solar red, dual sim and with 6gb ram and 128gb storage. If you’re buying anything on Amazon UK please head over by this LINK . It won’t cost you anything extra either but will helps towards the running costs of Gavin’s Gadgets. A phone isn’t all about the camera. Did you view the other video on the audio aspects? You seem to be declaring war from just the camera aspects..
Whilst the pixel quality is very good on the U11, I believe we have gone away from worrying about pixel peeping. It is looking at what other aspects the camera can offer and what else the phone does. Pixel quality is important of course, but Dual lenses are the future, and it won’t be long before triple lenses arrive. Google need to get 2 years out of their current setup before they change it more than likely. Biased reviews tend to be where the devices have come from the manufacturer or PR company. The U11 I got was neither. So it was my honest view of the phone as a whole and you need to take in to account both videos. (main review and audio review). I also try to look at the review as if someone who bought this, what sort of experience as a whole would they experience and feel. The problem nowadays is most phones provide a decent experience, so people look at micro details to argue about. What matters is what features do you or the next person want etc not what everyone else wants. I dont know why you cant accept that some people will find the Pixel boring. For a start the hardware is as boring as the iPhone 7 Plus. Just compare it to the sexier S8+ or even this solar red HTC U11. Even the Honor 9 is better to look at. From a photography standpoint, I would use my iPhone 7 Plus over the U11/Pixel XL every day. The flexibility of the second lens, the additional camera options and huge third party apps are a winner for me. Plus we then get into the whole package of iOS etc… Plus I prefer more natural looking shots. Its my preference and my view. I have no qualm accepting you love your Pixel. That is a good thing. You take and share lovely photos from it, so enjoy it. Please try and enjoy other videos about different phones. We all love our tech, surely! And we all have different opinions. PS The iPhone 7 Plus is nearly a year old vs the U11, so that also has to be remembered . Hi Ben, they are all valid points. And why I see the Pixel phone getting better this year too.